Admitting you need help is hard. Trusting a new employee to help you is even harder. But it does not have to be as difficult as it seems. I have created a list of tips a manager can use to effectively teach a new hire the policies and procedures of the company. While these methods may take more time investment up front, the end results will be a more motivated employee who knows the business and its policies. Fireshot is a fantastic tool for making these screenshots. It’s easy to use; it lets you take a screenshot of just the visible area of the screen or of the entire page, no matter how far down it scrolls; it enables you to crop, blur, add text, arrows and shapes. The snipping tool that comes built into Windows is also a good option. Try them both and see which one you like. Oops. Not a great step to miss. If a screenshot is worth 1000 words, a video is worth 1800 screenshots. Videos are a great teaching tool. Employees can follow the videos step by step while doing the actions on their own computer. When making a video make sure you have someone who can speak clearly and knows the material. I recommend Camtasia to create your video. Again, they should go step-by-step through the process from beginning to end. This is also great because a new hire can pause, stop, and rewind as necessary to learn at his own pace. After the employee has had a chance to go through the material, whether it be a manual, video, or both, set up a time for a training. During this training you should have the employee “train” you as if you do not know the program. The best way to know if an employee knows the program is if she can teach it to someone else. Because you really do know the program, you can give her advice, or correct her along the way. Don’t try to teach them everything all at once. The best thing to do is to give the new employee one or two things to learn at a time – and once he has mastered those, then you know he is ready to move on to learn more. Find out what a new employee’s strengths are and give her tasks that utilize those strengths, especially at the beginning. This will enable the employee to feel comfortable and gain self-confidence. Once she is calm and not as nervous about being in a new job, she will be more willing and able to take on extra tasks. Every person learns at his own pace. Listen to his questions and remember this is the first time he might be doing something that you have done for months, maybe even years. Remind yourself how little you knew when starting out. That will help you help the new employee and not get frustrated if you have to explain something more than once at the beginning. Let the new employee know how she is doing and give her constructive criticism. Once I had just started a new job. My boss said that in three weeks she would be going on vacation and that I would be ready to take over while she was gone. I was EXTREMELY nervous and felt completely overwhelmed. Three weeks did not seem like enough time to learn my new job as well as hers. That deadline actually motivated me. I learned quickly and was in fact able to achieve my boss’s goal for me. Having a deadline pushed me to learn the job with a laser focus. You might not always be available to provide answers to questions the new hire might have. Introduce him to people who can help him. Make sure he has a list of all the names of other employees and their title in the company. 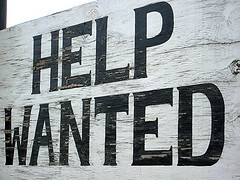 Provide him with their contact information and how they might be able to help the new hire if you are not available. Most people are willing to help new employees if they ask. 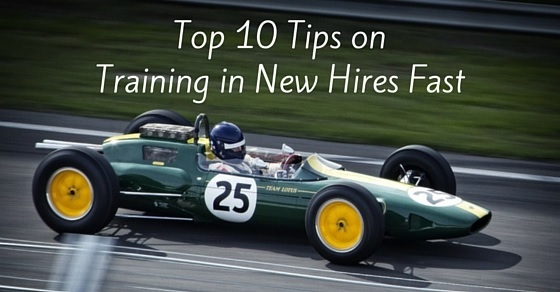 Following these tips will help not only the new hire learn effectively, but will help you, as the manager, teach new hires from all different backgrounds and learning styles. You will increase the rate at which you will be able to rely on your new employee, who now feels fully comfortable with the tasks assigned. Go get your first hire! (And if you’re not quite sure who you can trust with your baby, have a chat with one of our directors. They’re amazing matchmakers when it comes to matching needs, personalities, and work culture. Are all your fellow small business entrepreneurs praising a Virtual Assistant as “a must” these days? Feel like you’re missing out? Whoa, Nellie. You may or may not benefit from a Virtual Assistant just yet. Chances are, once you’re organized and mentally ready enough, a VA will be a must. But rushing into hiring a VA just because it seems like it’s par for the course could actually work against you. So, before you start your Virtual Assistant search, consider these reasons why it might behoove you to wait, or to bite the bullet and go for it. 1) You have time to do everything – from the big picture to the menial. At present, your business is structured in a way that you feel like you can manage it all without assistance. You’re not aware that there’s anything you could pass on to others. For now, all seems under control. You can give attention to detail on all fronts, and don’t feel the need to be freed up just yet. 2) You want to make all the decisions. The idea of giving up some control over what happens in your business makes you shudder. You’re not ready to delegate some of the smaller decisions to anyone else, and you’re not ready to let others manage underneath you. How could anyone else take care of your baby as well as you? 3) Doing it yourself seems more efficient. You feel like it’s easier to just do things on your own. Letting someone else do it would likely take longer, and you feel like you’d do a better job than anyone else anyway. 4) You don’t have time to train someone else. While in the long run your VA will save you time, it will require a time outlay at the beginning while they’re learning the ropes. If you would be too overwhelmed to train someone, it won’t be a success. You need to be prepared to sacrifice time at the beginning to gain time in the end. 5) You’re unsure whether your management systems are organized enough for an assistant, or if you need an assistant to help you set them up. In order to take on an assistant, it’s helpful to explain your existing management systems to them. On the other hand, you might need a VA to help you get these organizational systems off the ground or revamp them. Before you hire a VA, you will benefit from taking at least thought time about whether you prefer your VA to be your organizer, or one who will work within your existing organizational processes. 6) You are not available for questions. Virtual Assistants generally might have 10-20 minutes of email questions every few days, and meet with their supervisor at least once a month by phone for 30-60 minutes. If this feels like too much of a commitment, you might prefer to wait until it’s clear how it will actually save you time. 7) You already have a Virtual Assistant. While this point might seem out of place in this list, it’s not. 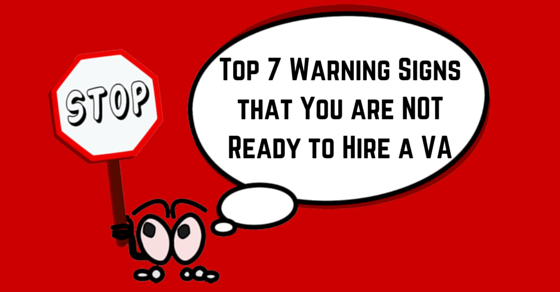 Some people do not wish to start over with hiring a possibly better VA, or they hesitate to hire more than one VA even if they need it. So, you’ve decided to stick with your current VA because it’s easier than finding a replacement, or hiring additional VA’s. A small business can be a one-person show for a while, but eventually will need to expand to include other employees, and a Virtual Assistant is often the first new employee on the roster. There’s an irony about the list above: Just when you feel too overwhelmed to hire a Virtual Assistant is likely the time that you really need one. Thankfully, a skilled VA can help you through the process of delegating and increase your confidence about handing over tasks. As with anything entrepreneurial in life, it’s not about waiting until you are ready, because you might never feel ready. And if you get to the point that you “feel” ready, it might be harder to integrate a VA because you’ve gotten even busier. The bottom line is whether you honestly could benefit from assistance in order to allow you to focus on the tasks only you can do. When you’ve answered that question, you’ll know if you’re really ready to hire a Virtual Assistant. Keep in mind there’s no one paradigm for a VA. Some are strictly administrative, while other run a team of workers and handle top financial transactions. Feel free to contact us for an initial consultation to assess your needs. How Can I Know Which Ghostblogger Style Suits My Needs? You’re a small business owner, and you’re busy. While you know you should be blogging to reach your audience, show your expertise and establish trust, you just can’t seem to find the time. At this stage, many small business owners look to hire a ghostwriter or ghostblogger. A ghostblogger is effectively an actor via writing. 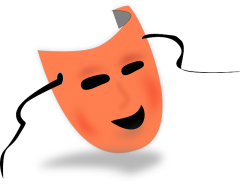 Actors play different roles, depending on their scenes, experience, and talent. In concert, they weave in directors’ instructions with their own style or interpretations. The actors might also be type-cast based on previous experience, or just might not be experienced and/or talented enough to be able to act in a variety of roles. So it is with ghostwriters. At the very simple end, there are ghostwriters who take dictation and voice it directly onto the paper, “acting” just as the client (the director) instructed. Other ghostwriters will take direction, and then work it in with their own style. Still others will be the most malleable – able to configure their writing style to represent their client, with minimal if any direction. How do you decide which style of ghostblogger is best to hire for your business? One factor is the amount of input you want to put in to the finished work. 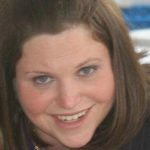 As one option, there’s the “get it off my plate” scenario, whereby you simply wish to outsource the blog writing to a reputable blogger, have a once-over read, and be done with it. Another model is hiring a blogger who, in consultation with you, takes on the initial majority of the writing, and you do finalizing additions and edits. The second factor is the style of writing of your ghostblogger. The writing itself needs to feel right to you. As an example, let’s take a small technical support firm working with small businesses. They are looking to expand their reach, and in doing so, were advised by their SEO and marketing consultants to start a blog with biweekly posts. As such, they searched for a blogger to represent their voice while being skilled at appealing to their target audience. As part of their hiring process, they asked each candidate for a three-sentence sample. The candidates were told to write about a new smartphone app called StarMessage that designates incoming SMS (text) messages with a star if they initiate from a phone number in the user’s address book. Frustrated with receiving a text message from people with whom you’ve never been in contact? Introducing StarMessage – the new app that allows you to filter for text messages that come from numbers in your address book, allowing you to prioritize the texts from numbers your phone recognizes. Today’s world is crowded with communication via messaging, be it email, instant messages, or text messages. Often times, cell phone users receive messages from sources they don’t even recognize. A new app called StarMessage serves to deal with this frustration specifically for SMS (text) messages by marking them with a star if they were sent from a phone number in the user’s address book. Uh, do I know you? Want to mark text messages that come from people you know, versus people you don’t know? Download the StarMessage app so that you can “star” the texts that come in from people in your address book. As you can see from the above writing samples, a variety of voices can be used, depending on the target market. Even just three sentences about a one-feature app can be worded from different angles, using variant word choices. It’s all in the composition and execution. When looking to hire a ghostwriter, ask to see 5 writing samples. You’ll be able to assess whether she has focused on one particular field, using a similar “acting” voice, or whether she’s written about a variety of topics, even using different styles. If you think she has potential, ask her to write a sample text for your niche (like the above example), and see if you connect with what you receive. Ghostbloggers, like most anyone, run the spectrum, and hopefully you will find a good match for your small business blog needs. Encore!